With its fresh, tropical fruit characters, un-oaked style, and sheer drinkability, Australian Verdelho is very much the crowd-pleaser. Perfect served with a host of spicy Asian cuisines including Thai, Vietnamese and Malaysian, or simply enjoyed kicking back by the pool. To help explain more about Australian Verdelho, we chatted to the experts at Tulloch Wines, Peos Estate, Pepper Tree Wines and Arimia Wines. The Verdelho grape variety comes from the Portuguese island of Madeira in the Atlantic Ocean off the coast of Morocco where it is made into a fortified wine called Madeira. “There are four varieties used to make Madeira ranging from very dry to very sweet. The driest is Sercial, the Verdelho is softer and slightly darker in colour with the lighter version known as Rainwater. The finer Bual is medium with a strong hint of molasses, and finally Malmsey which is full-bodied, often caramelly and brown,” explains Jay Tulloch whose family has been producing Verdelho for over 100 years. Verdelho was imported to Australia in 1825 by the Australian Agricultural Company and was first grown in Camden by William Macarthur. While it is widely grown, Western Australia and New South Wales consistently produce the best examples. Both states produce wines that offer pristine aromas and flavours, which are made for early consumption. Generally, the cooler grown or early picked examples are leaner and finer, showing citrus fruit, grassy and herb flavours. Warmer grown, riper Verdelho is generally richer, fuller with ripe tropical fruit salad flavours. Regardless of style, or region, Australian Verdelho also represents great value, with most being under the $20 mark. It is one of the Hunter Valley’s regional heroes where it dates back to the early 1900s, when the Tulloch family made a fortified wine predominately from the Verdelho grape in the Madeira style and called it Crème de Vin. “Tulloch have been producing this Madeira style wine on and off now for 100 plus years, with the current release made in a traditional style from a small solera commenced in 1973, “says Jay Tulloch. “In the 1950s and 1960s as table wine became popular, Verdelho was blended with Semillon (at that time known as Hunter River Riesling) to boost the flavour of the Semillon in light years. Tulloch made Verdelho as a table wine in 1973 and 1974. Both were credible wines, however the ’73 developed rather too much and became overbearing with age. The lesson we learnt from this was not to allow the grapes to reach excessive maturity before harvest,” he says. “The trick with Verdelho is not to let the fruit get too ripe. It can blow out quite quickly and become fat and blousy if you let the alcohol get too high,” says Jay. “Picking at around 12 Baume ensures you still retain some lovely acidity, as well as having the floral tropical fruit flavours on the palate. Gwyn Olsen – chief winemaker, Pepper Tree Wines, Briar Ridge Vineyard, Hunter Valley. Daniel Stocker – vineyard manager, Arimia Wines, Margaret River. “In Margaret River, and at Arimia, Verdelho produces refreshing, crisp, dry white wines that are a perfect fit for the outdoor, alfresco dining that Western Australian’s love,” he says. 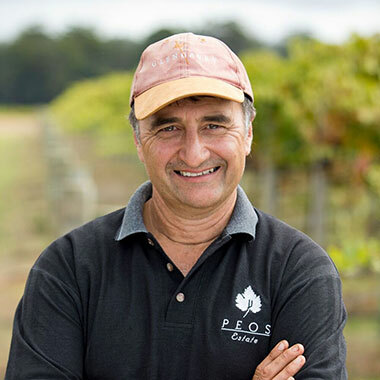 Vic Peos – Owner, winemaker, Peos Estate, Manjimup. 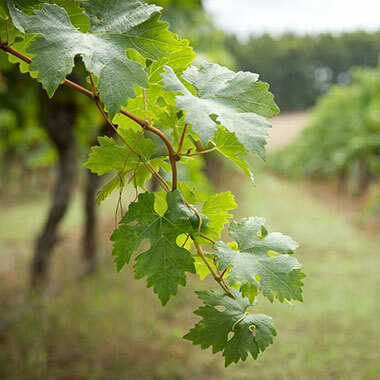 “Located in Western Australia’s southwest corner, Manjimup experiences hot dry summers with cool nights that allow for long, slow ripening and flavour enhancement which Verdelho really enjoys,” says Vic. Similar weight to unoaked Chardonnay and Roussanne, it pairs beautifully with seafood and chicken, and also balances the spice of Thai, Vietnamese and Malaysian dishes with its fruit weight and concentration. "Growing up in Indonesia, I have a soft spot for Asian cuisine and personally I feel this well suited to Verdelho. Thai red duck curry with its lychee and aromatic herb profile works perfectly with the fragrance and balance of Verdelho. Indonesian nasi goreng with its salty and spicy characters compliments Verdelho extremely well, or a couple of Vietnamese rice paper rolls and a chilled Verdelho on a hot summer’s day is a perfect match,” says Gwyn.